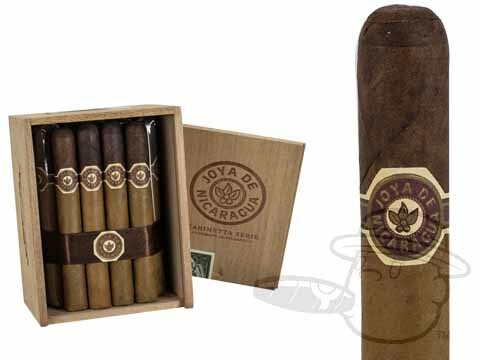 The Joya de Nicaragua Cabinetta Series carries the brand's delicious Nicaraguan profile at a mellow to medium strength level. Notes of leather, creamy hazelnut, almond and oak are shared between an Ecuadorian shade wrapper on the body, and a Nicaraguan Criollo wrapper at the head. A wonderful pair with a glass of rich, dark rum on a warm summer night, or a cold winter day.